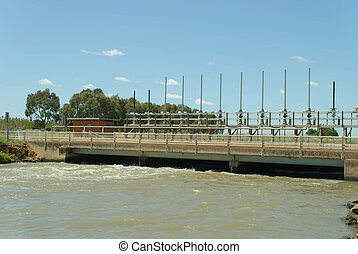 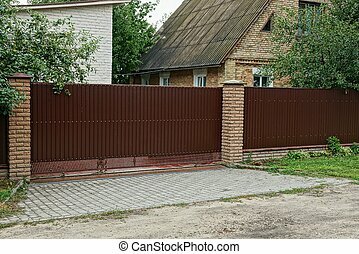 A long brown fence with a closed door of metal and brick outside in the green grass. 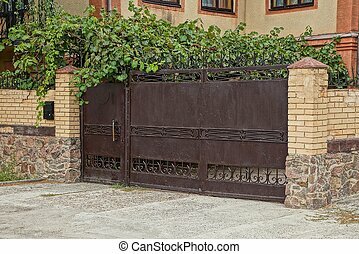 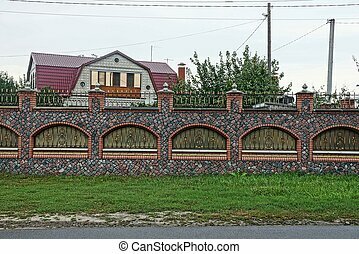 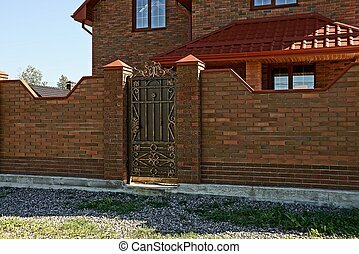 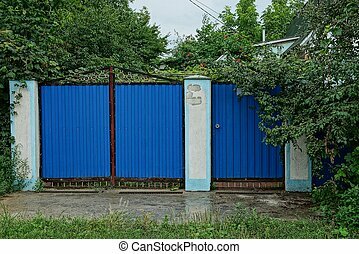 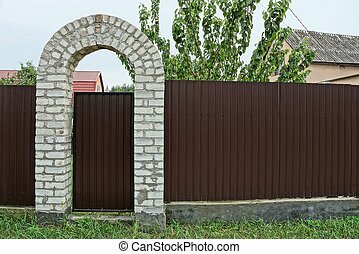 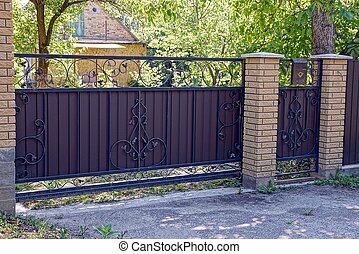 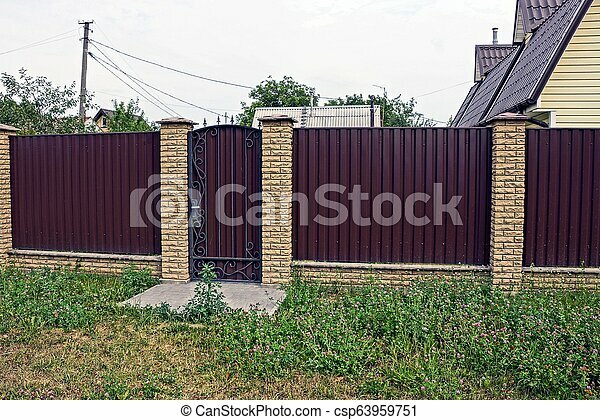 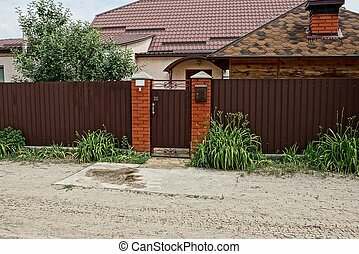 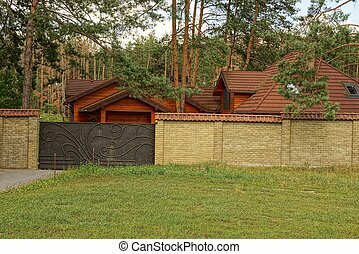 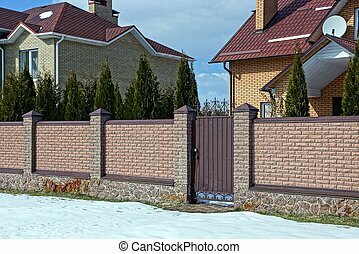 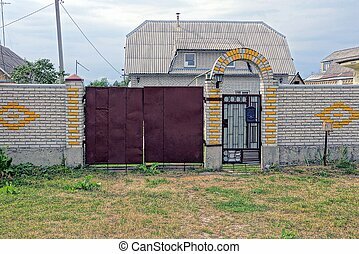 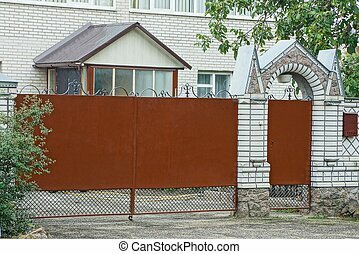 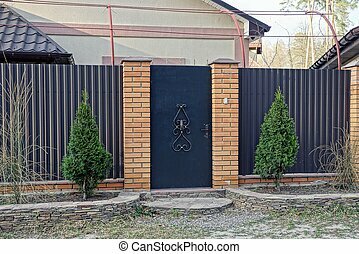 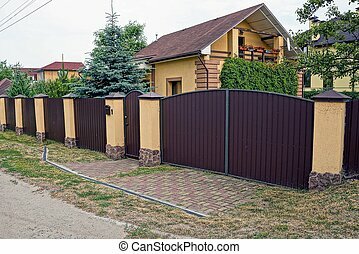 Private long brown fence with a closed door of metal and brick outside in the green grass. 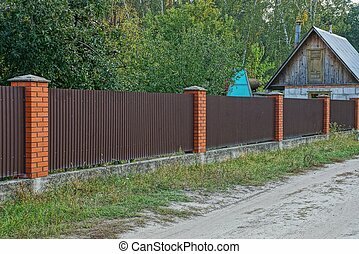 Fire hydrant on a lawn in front of brick building. 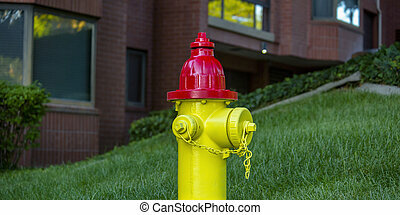 Close up of a fire hydrant with bright yellow and red paint. 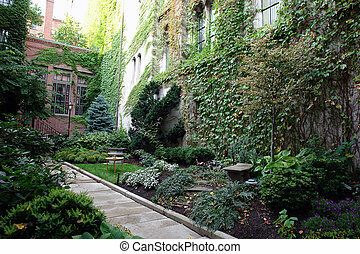 The pump is on an inclined lawn in front of a red brick building in Salt Lake City. 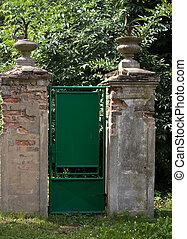 Two old columns of bricks with peeled plaster and a green metal gate to the garden.